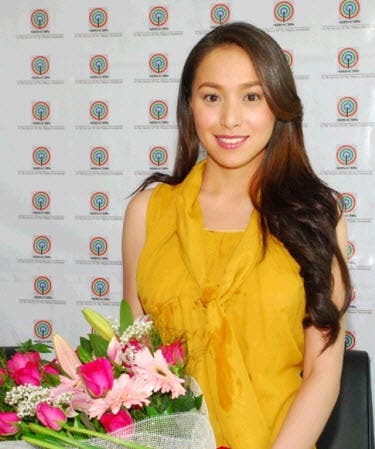 "Reputasyon" lead star Cristine Reyes is thankful with how her showbiz career has flourished since she became part of ABS-CBN. 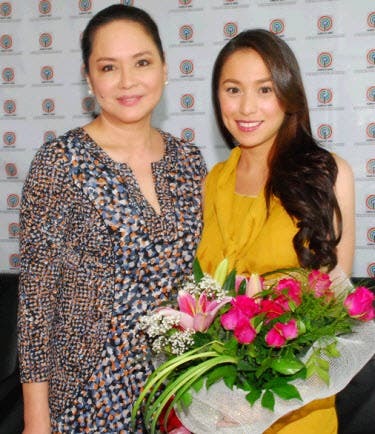 In her recent contract signing with the Kapamilya Network, Cristine expressed her gratitude for the station that entrusted her with big projects this year and this coming 2012. “My career bloomed here in ABS-CBN and I still can’t believe that people recognize me now as one of the network’s princesses,” she said. Meanwhile, as the story progresses, “Reputasyon” fans will surely be glued even more to their TV sets with the recent turn of events between Agnes delos Santos (Cristine) and Catherine Villamayor (Aiko Melendez). Will Agnes finally succeed in clearing her reputation now that Catherine is jailed? Don’t miss “Reputasyon,” weekdays before “Maria la del Barrio.” For more updates, log on to www.abs-cbn.com or follow abscbndotcom on Twitter.